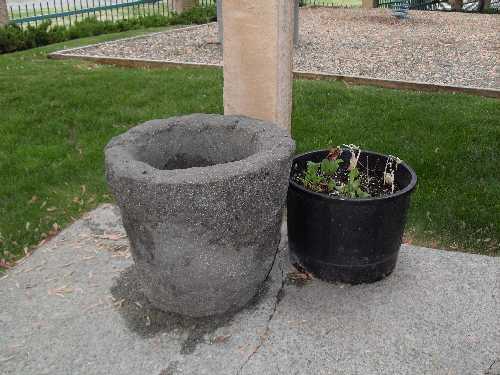 Did you know you can make your own garden pots? Well, you can! They are called Hypertufa pots. Once again the internet told me what to do. You get some portland cement, peat moss, and perlite (or vermiculite). These items can be found at home depot. You mix them at approximatley 1 part portland to 2 parts peat moss and 2 parts perlite. If you want a stronger pot, increase the amout of cement a bit. Also, you should get some plastic gloves and a dust mask. Add some water and mix it well. If you pick up a clump, squeeze it, and it clumps together in your hand, you added just the right amount of water. If you make a gigantic pot like I did, you can embed a wire frame inside it to give it more strength. I used an old tomatoe cage. Then you can use your imagination to make different shaped pots. 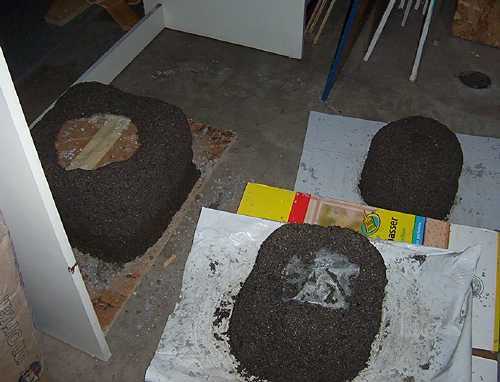 An easy way to make a pot is to find a plastic pot to use as a mold and turn it upside down. Pack the material all around it. Use a flexible plastic pot or you might not be able to remove it from the hypertufa when it dries! That happened to me. You can also put some plastic film on your mold or spray it with a little wd40 so that it will not stick. It needs to set for a few days at least. You should keep it moist so it doesn’t crack. The water actually helps the cement to cure properly. Then, when its ready, put it outside in the elements (ie. rain) for a few months so that the caustic cement is washed away, otherwise it may burn your plants. 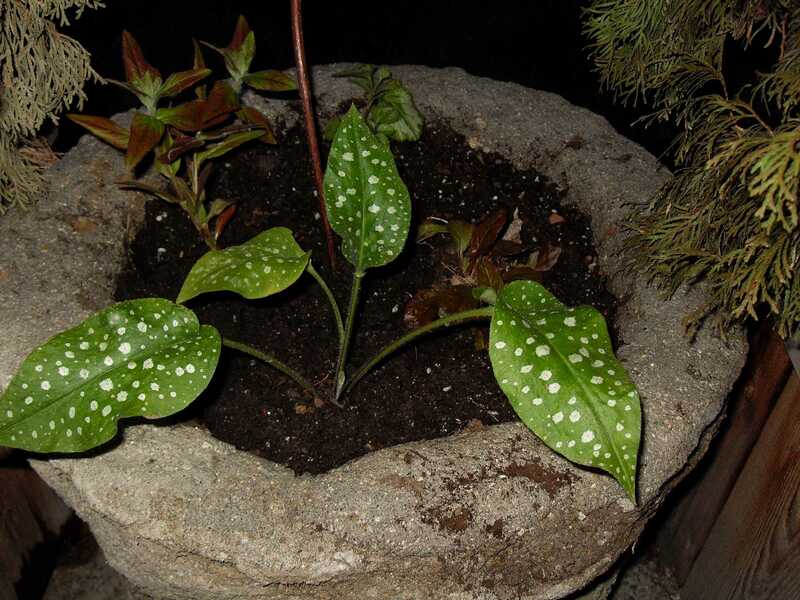 Tip: one website said that you can brush on some sour milk to the pot to encourage moss to grow. Tip: one website said, if you are in a hurry, you can put some vinegar/water solution on it to neutralize the cement when you are ready to plant. Hypertufa is an anthropic rock made from various aggregates bonded together using Portland cement. Hypertufa is intended as a manufactured substitute for natural tufa, which is a slowly precipitated limestone rock; being very porous, it is favorable for plant growth. Hypertufa is popular for making garden ornaments, pots and land forms. Hypertufa is relatively light compared with terra cotta or concrete and can withstand harsh winters, at least down to -30 °C (-20 °F). Hypertufa was invented for use in alpine gardens. Alpine gardeners formerly used antique animal watering troughs, which became rare and expensive. This was written by Rob Carrelli. Posted on Saturday, August 29, 2009, at 6:56 pm. Filed under garden. Bookmark the permalink. Follow comments here with the RSS feed. Post a comment or leave a trackback. They are heavy compared to the ceramic pots often found in the garden. But this looks like a fun DIY project.